As if there weren't enough contenders out there for music subscription service, Slacker Radio has updated its business model. 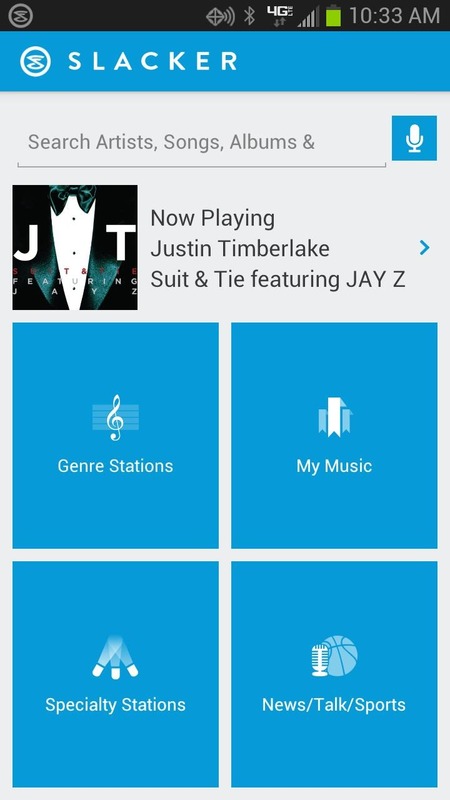 You can still get the standard ad-supported radio station features that were always available. However the company has added a Spotify-like buffet option for $10/month. 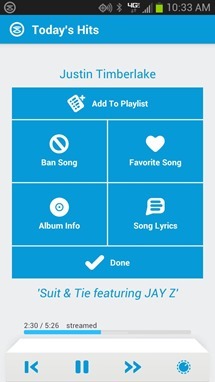 Pony up the dough and you can remove all ads and listen to as many tracks as you want. The combination is pretty powerful, as one of the biggest complaints over Spotify is its discovery problems. 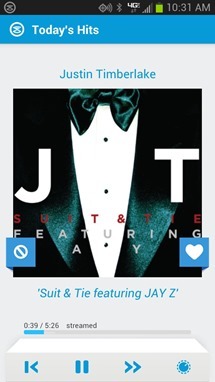 Slacker Radio never really dethroned Pandora, but it did offer some stiff competition. There has been relatively little overlap between radio and subscription services. 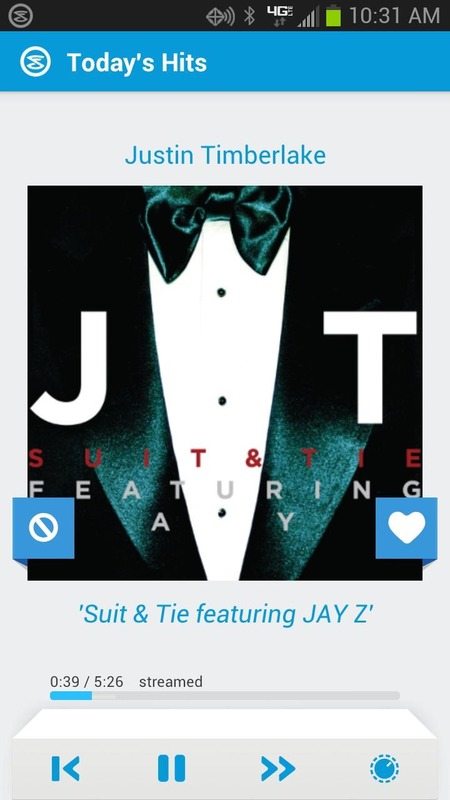 Sites like Pandora and last.fm don't tend to offer unlimited options while Rdio, MOG, or Rhapsody try to build their own curated or automatic playlist features, with relatively little success. 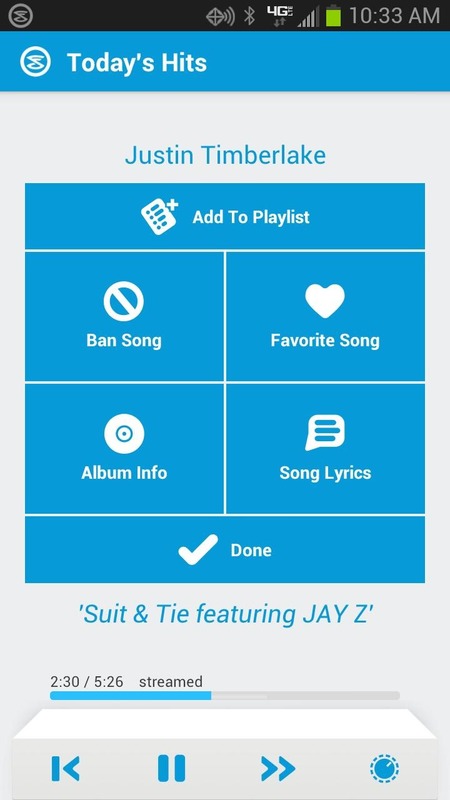 Fortunately for Slacker, it's (arguably) easier to get licenses for millions of songs for a subscription than it is to come up with smart-music algorithms. The new site itself is actually a little clumsy. The UI looks nice, but it's kind of huge. Also, while playing with it for a few minutes, I found several bugs. Giant ads for the premium service were unclickable, which made it difficult to pay hard-earned money. Also, after logging in to Facebook, I still found multiple prompts to log in to Facebook to get recommendations. Sometimes right next to "[Your friend] likes this"-type lines. The app is slightly better. While it still has the gigantor-itis of the web version, it at least looks clean and streamlined. However, logging in to a premium account required going into Settings. This was very confusing and not intuitive at all. That being said, these issues are minor. Nothing software updates can't fix. Meanwhile, the underlying functionality is worth taking a look at. Will it be able to take the spotlight away from the major subscription services? We'll just have to wait and see about that. SAN FRANCISCO, CA--(Marketwire - Feb 13, 2013) - Listen up. Slacker has launched the world's most complete music service for the Web, mobile devices and a range of automotive and consumer electronics platforms. 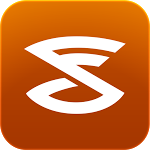 The new Slacker gives listeners anytime, anywhere access to millions of songs and hundreds of expert-programmed stations for free on any device. Slacker also raises the bar for music discovery, highlighting stations, personalized picks and exclusive content from Slacker's team of expert curators. Get Slacker for free atwww.slacker.com or download the app now for iOS, Android, Windows Phones and BlackBerry devices. Slacker works directly with record labels to offer a massive music library of more than 13 million songs, with new tracks added daily. Listeners can also personalize their experience with the industry's deepest customization tools and easily add news, sports and talk from ABC and ESPN. Slacker's team of expert music curators also constantly update Slacker's more than 200 genre and specialty stations so the music is always new, fresh and surprising. Slacker is free on any device. Listeners can also subscribe to Slacker Radio Plus for a commercial-free experience with offline listening and unlimited song skips for $3.99 a month. The Slacker Premium service delivers the ultimate experience with on-demand listening, the ability to create custom playlists and more for $9.99 a month. "Slacker is the most complete music service on earth, with 10 times the music of Pandora, expert-programmed stations Spotify can't touch, and personalization that satellite services only dream of," said Jim Cady, CEO, Slacker. "We've quietly built a scaleable business with more than a half-million paying subscribers and more than four million monthly average users. 2013 will be a blockbuster year for Slacker as we ramp up our marketing efforts and take the service to a broader audience." 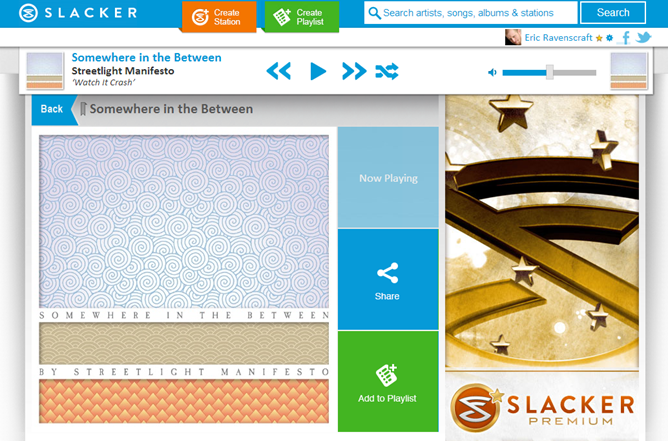 Slacker was founded in 2006 as a satellite radio company and pivoted to become a digital music service in 2010. The company has doubled its business every year. Slacker also has billing and distribution deals with every major North American wireless provider, including Verizon, AT&T, Sprint, T-Mobile and U.S. Cellular. In addition, Slacker also has distribution deals with major automotive manufacturers including Ford, GM, Chrysler, Acura, Honda, Scion, Subaru and Tesla. The new Slacker service and company logo were revealed to media at a press event featuring Silversun Pickups last night in San Francisco, produced by Madrone Studios. 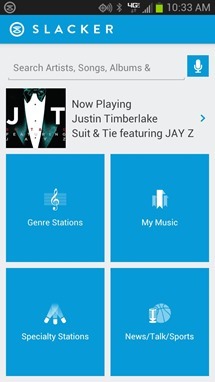 And to celebrate the launch of the new Slacker service, listeners can also experience all the features and benefits of the Slacker premium service for free on February 14 and 15, sponsored by Cars.com.